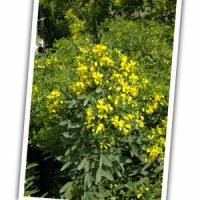 A tall, upright, fast growing shrub with feathery, compound leaves & a bright colorful display of large clusters of 1 yellow blooms from late summer to winter. It’s normally evergreen in the Houston & surrounding areas. Cassia corymbosa grows 6-10 tall & can easily be trained into a small tree. Heat & drought tolerant & deer resistant. Full sun. 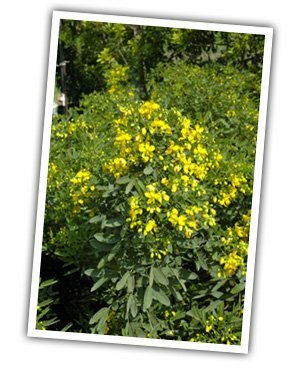 A major butterfly nectar plant & is a host plant for the Sulphur Butterfly.